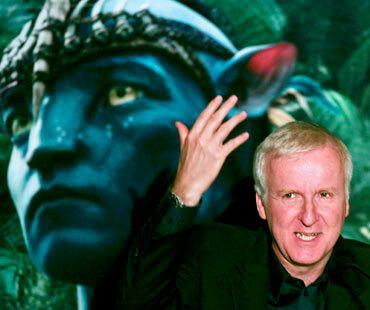 Rediff.com » Movies » James Cameron's 'underwater' birthday! Academy-award-winning director James Cameron, famous for his blockbuster films like Avatar and Titanic on Monday celebrated his 56th birthday on the bottom of the world's largest freshwater Lake Baikal in Siberia. Cameron, who arrived on Sunday is known for his passion for underwater diving and was invited by his Russian friend Anatoly Sagalevich, who helped the director in the underwater shooting of Titanic in 1997. Sagalevich heads the Science Academy's deep diving research programme of Mir-1 and Mir-2 mini submarines. "James Cameron dove to the bottom of Lake Baikal in the south near Cape Tolsty on the Mir-1 piloted by Anatoly Sagalevich," a spokesman for the Lake Baikal preservation foundation was quoted as saying by RIA Novosti. Cameron was joined by Maria Wilhelm -- the author of the book that inspired Avatar. Reportedly, the sequel to Avatar will apparently take place under water. Cameron wants the next instalment of his Avatar franchise to explore Pandora's oceans. The director told MTV News his fictional planet's aquatic life was equally rich and "diverse and crazy and imaginative" as its famously colourful land-based equivalent, Digitalspy reports. Many of the scenes would actual require underwater filming, he said. Angelina Jolie is all set to star as Marilyn Monroe in a film based on author Andrew O'Hagan's novel The Life and Opinions of Maf the Dog, and of His Friend Marilyn Monroe. George Clooney will play Frank Sinatra, revealed O'Hagan. According to the Times, production on the film is due to start soon. Speculation over the project has been growing over the last few months. Earlier it was suggested that Scarlett Johansson could do the Monroe role. O'Hagen had suggested that Mad Men actress Christina Hendricks could also play the lead role, reports the Telegraph. The Life and Opinions of Maf the Dog, and of His Friend Marilyn Monroe follows Monroe's last two years through the eyes of her pet, Maf, a Maltese terrier which was a gift from Sinatra in 1960. The novel also charts some of the defining moments of the 20th century. Shania Twain to replace JLo on American Idol? Shania Twain might replace Jennifer Lopez as a potential judge on American Idol. Twain was a guest judge during last season's Chicago auditions and mentored the contestants in an episode in April. 'Shania's a huge fan of the show and she had a great time as a mentor,' the New York Daily News quoted a source close to the singer as telling People magazine. The fate of American Idol has been on the rocks after three of the four judges left the show after last season. Lizzie McGuire star Hilary Duff's has tied the knot with her beau of three years hockey player Mike Comrie in a small ceremony. According to OK magazine, the 22-year-old-singer and 29-year-old- soccer player got married in a private ceremony in Santa Barbara, reports the New York Daily News. The couple exchanged rings at sunset in the presence of about 100 close family and friends. Duff walked down the aisle in a strapless mermaid gown by Vera Wang with her hair up in a bun. 'It was one of the most beautiful weddings I've ever seen,' a witness told UsMagazine.com. 'Absolutely stunning. They thought of every last detail and it was an incredible sight,' added the witness. Comrie, a former player for the New York Islanders, proposed to Duff in February, while vacationing in Hawaii. The couple has been together since 2007. Toy Story 3 has set the box office record by becoming the highest-grossing animated film of all time. 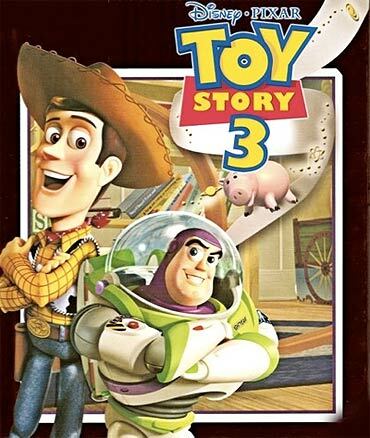 The third movie in the Pixar series is about cowboy Woody, space ranger Buzz Lightyear. Toys' owner, Andy, raised more than 920 million US dollars at box offices worldwide since opening on June 18, according to Disney. That means it edged out DreamWorks Animation SKG's Shrek 2 to attain the top spot, reports the Mirror. The film also ranks as Disney's fourth highest-grossing film of all time. 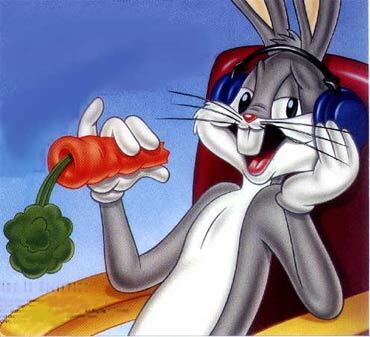 Bugs Bunny -- the fun loving, slightly annoying and fast talking bunny rabbit from the 1940s is to make his 3D, CGI cinematic comeback. According to The Independent, Warner Brothers are expected to develop the film -- a mixture of live action and CGI -- designed to revive the character for a contemporary audience. David Berenbaum, who scripted the 2003 comedy, Elf, will be writing the film. Bugs Bunny was last seen in Looney Tunes: Back In Action, a 2003 film featuring a host of classic animated characters. Bugs was among the most memorable characters to emerge in the golden age of American animation in the late 1930s and early 1940s, which continued until the 1980s when the Saturday morning cartoon slot began to lose its audience appeal. 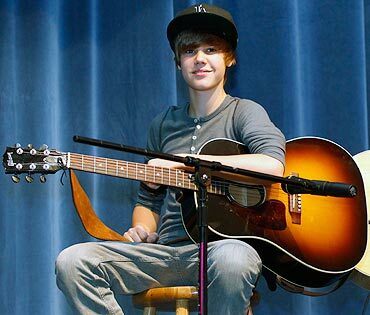 Teen sensation Justin Bieber has topped a list of the most bizarre concert cancellations. Police cancelled the Baby hitmaker's gig in Sydney, Australia in April, 2010, amid safety fears when thousands of young fans descended on the area and hundreds became 'distressed' amid frenzied scenes. Singer Morrissey's decision to cancel an entire tour of Canada last year in protest at the country's seal hunting came second in the poll for men's magazine Esquire, reports the Daily Star. Meat Loaf landed the third spot after he cut short a gig in Newcastle in 2007 due to "exhaustion" -- then announced he was retiring from music immediately. The Bat Out of Hell hitmaker changed his mind a few days later and resumed his tour. The Brian Jonestown Massacre -- who cancelled a show when lead singer Anton Newcombe's girlfriend was heckled during a solo set -- and Belgian duo Soulwax, who cut short a concert in Liverpool when the band began brawling with security staff, rounded off the top five.